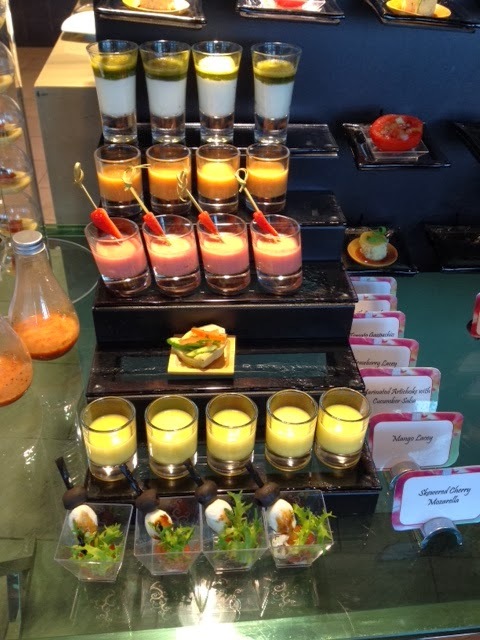 I like brunch as it is known in Abu Dhabi. I enjoy dressing up in smart casual clothes. I love the sense of anticipation as I get ready for brunch, especially if it is a place I had not been to before. Jing Asia - I had no expectations, despite a friend who raved about it and asked me time again if we would join him and his family. In fairness though, he was largely motivated by the dedicated kids' area that his children were fond of. In the end, I relented, and we joined his and another family. After all, adults have dinner so brunch should be for the children. I always thought of Yas island as the place I go to if I need something from Ikea. That was it. Recently, on the other hand, I have discovered that there is a growing casual dining scene and I ended up dining at two places over there in the last few months. Yas Island, has been growing therefore in my mind as a place worth visiting. Having tried Stills Bar at the Crowne before, we knew where to find the place. If you are lucky, you will be seated next to the floor to ceiling windows. While there are other seating options including the terrace, this seemed like a good choice given that it was a bit cool that day. Unfortunately for us, our table for 10 was right where the door was, so we had to contend with the opening and closing of the door, the breeze and constant rush of traffic. More careful planning of the table layout could prevent this. Not a great start! The buffet has a sensible lay out though, meaning bottle necks can be easily avoided as the stations are spaced out and there is no wasted space. It is simple a case of space well used. Briefly, the stations on display: salad, Asian (more about that later), seafood, kids', cheese, dessert and a hot dish area that is a mix and match of everything. 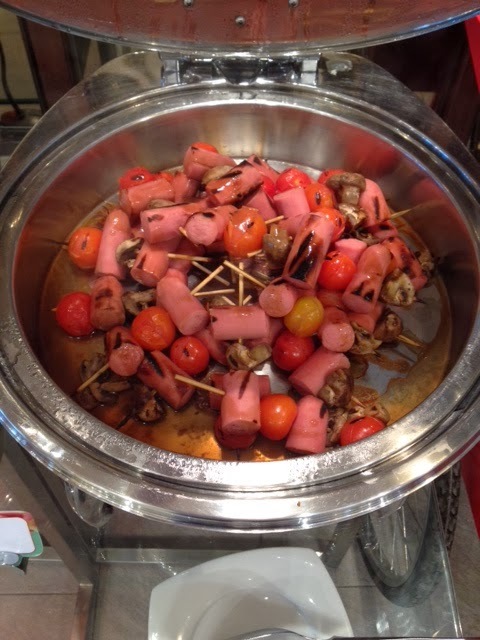 The salad bar is fantastic and memorable in terms of variety and presentation. This makes it the best I have seen at the brunches I have been to, and certainly the best by far of any 4* establishment in the city. The dedicated olive oil and herb oil area is also fantastic, reminding of Giornotte at the Ritz Carlton. The highlight of the salad area was the variations on the beetroot theme, with the beetroot and cheese cocktail lingering in my memory. 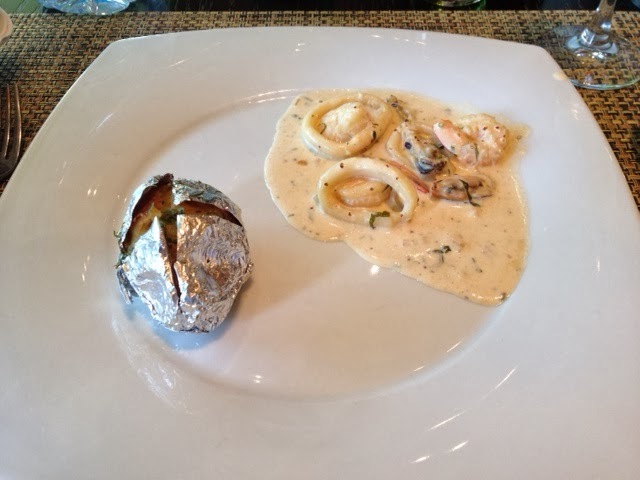 I am a huge fan of seafood, and while the presentation leaves much to be desired, I was very keen. The sushi chef was very kind to respond positively to my request for sashimi. I know you might think there is nothing amazing about this, but for me it was. I was at a Saturday brunch once where sushi was served and I wanted sashimi, but the chef said they only served sashimi on Fridays and in the evning. Bizarre. Anyway, I was able to enjoy sushi and sashimi, and while I felt the temperature at which it was served was not cool enough, it was not the worst I had had. 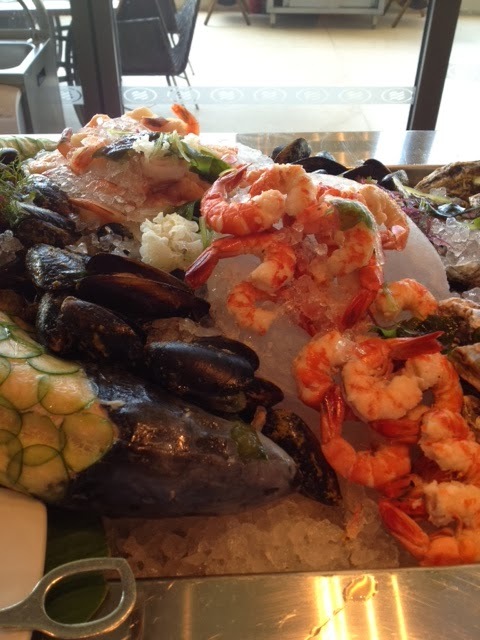 Seafood presentation - yes, my sentiments exactly. Jing Asia offers some nice drinks. For the all-inclusive drinks package, they offer soft drinks, an Australian bubbly as well three reds and a couple of whites too. In addition to these, there were also fruit juices and local and premium water. Of course not many guests do not know that they offer premium water as they put local water on the tables, but they do have San Pellegrino and Acqua Panna available. These are all on display on the drinks stand. I like the fact that they have a choice of reds and whites. 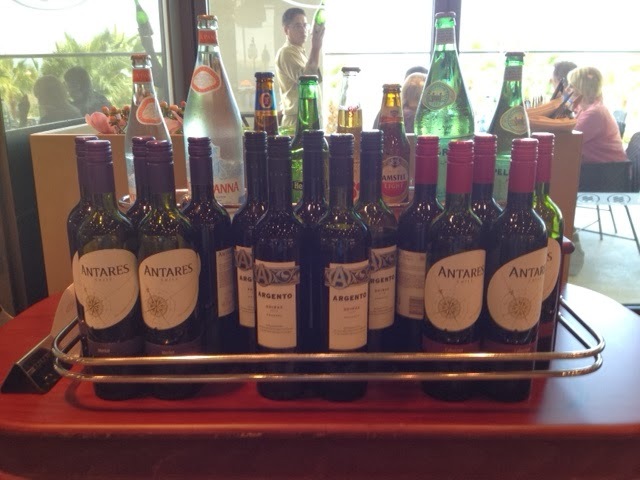 I tried the Chilean red but it was not as full and rich as the Argentinian red a lovely Shiraz from the Mendoza region. This is the advantage of giving guests options. Major positive - wine selection. I thought the mains were very disappointing. There was an odd selection of choices from frogs legs to rabbit stew. Sadly, roast beef was probably the biggest disappointment. Despite the fact that it had been dome medium to medium rare, it was still chewy, and the limited choice of the traditional roast beef gravy sauce did not help either. 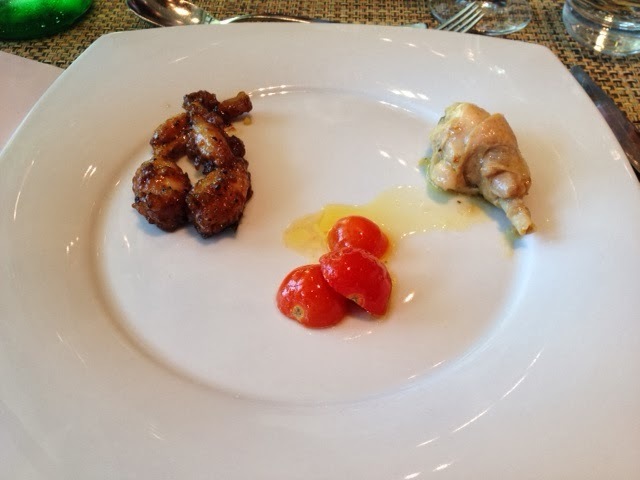 Thought I would capture on one plate the out of place frogs legs and rabbit stew. The Asian section was another disappointment. 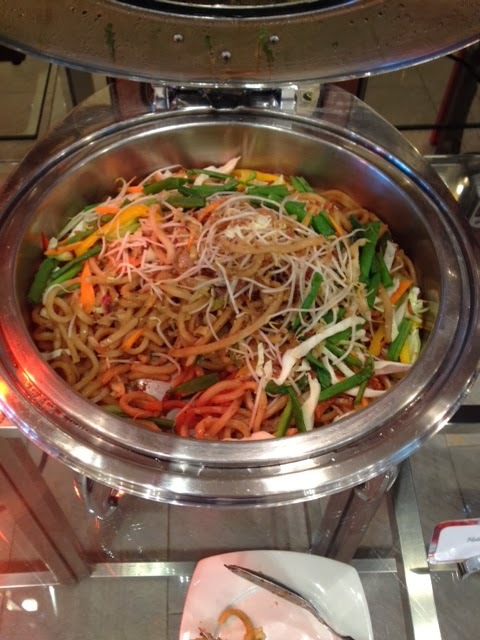 There was a sad dim sum selection, some noodles and a few other non descript dishes. The name invites criticism because you do expect that it will have an Asian character because of the dishes, but this is not the case. It meant that it was just another international brunch. Overall, I would say that Jing Asia was a let down and did not live up to the hype that my friend created. The cliche that a couple of swallows do not make a summer was evident here. Jing Asia has potential to be a great place, but they need to address the lack of 'Asianness' about their brunch and revisit their main dish station. Having a fantastic salad bar, wine options and a dedicated kids' area is good indeed, but not enough to elevate it as a Friday brunch to exceptional. Yes, I know they are part of a 4* hotel, but they are charging a 5* price for their brunch. There is also of course the competition out there: For example, for a fairly similar price you have Sofra (325 Dhs net)at Shangri-la and Sky Brunch (350 Dhs net) at Hyatt. 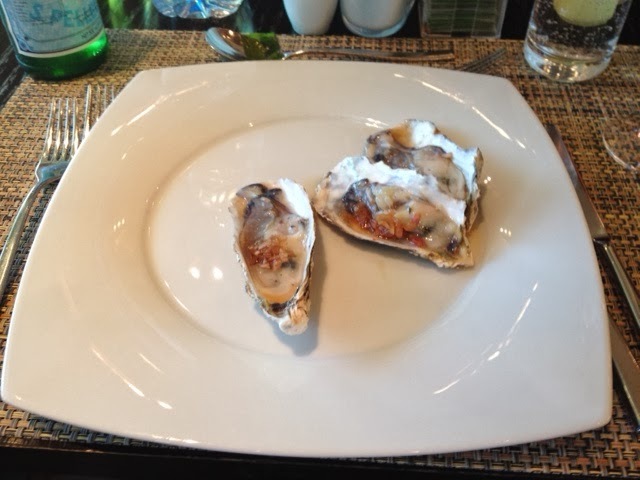 Granted, each brunch offers something unique, but if its is food and taste you are after, the last two will meet and exceed that expectation. By the way, The Garden at its sister hotel on Hamdan street, Abu Dhabi offers a very entertaining and family-friendly Friday brunch for Dhs220. 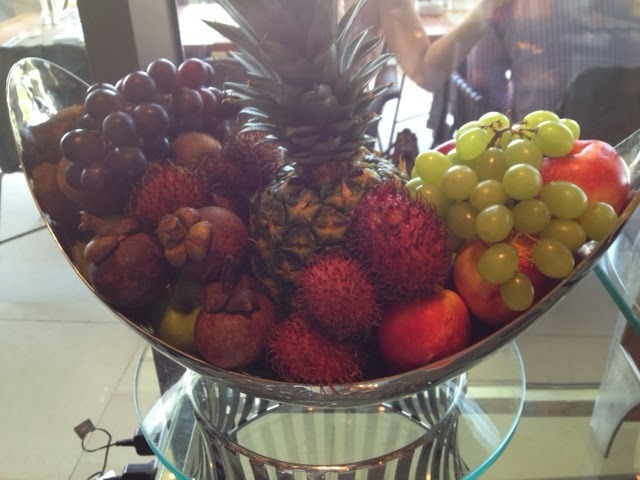 So, if you are looking for brunch that allows your kids to feel part of the afternoon and for you to have food without the wow factor but a choice of wines, then Jing Asia might just be what you are looking for. After his experience, this writer will pass. Potential is there though!